Travelling to London for business or pleasure? Carlton Court’s selection of exclusive boutique serviced apartments are a great alternative to the city’s expensive hotels. Since London is the main banking and financial district in the UK, there is a massive amount of travel to and from this area. So, finding convenient central London accommodation can be very difficult, especially if you are staying for a long time. Hotels fail to offer the amount of comfort and convenience desired for long stays. This is where our fully furnished serviced apartments come into play. Book with us and our apartment is your home for the next week or month or longer. Our central London apartments for rent feature separate sleeping, living and dining areas. Whether you choose our 1, 2 or 3 bedroom flats, you can be rest assured of your own space to continue your work or play. Living with us will allow you to concentrate on why you have come to the city rather than the issues that living in a hotel can bring. With all the comforts and appliances you would expect to have in your own home, Carlton Court’s flats make your stay easier. From LCD TVs to music systems and Free Wi-Fi access, we have everything you need to feel at home. Staying in hotels can be expensive and added to that the expense of eating out and using the laundry service at the hotel. All of this adds up to a really hefty bill if you are staying for more than a week. However, living in our apartments will help you cut down on some of those expenses. For instance, our flats feature fully-integrated kitchens where you can cook and washing machines where you can wash your clothes easily. 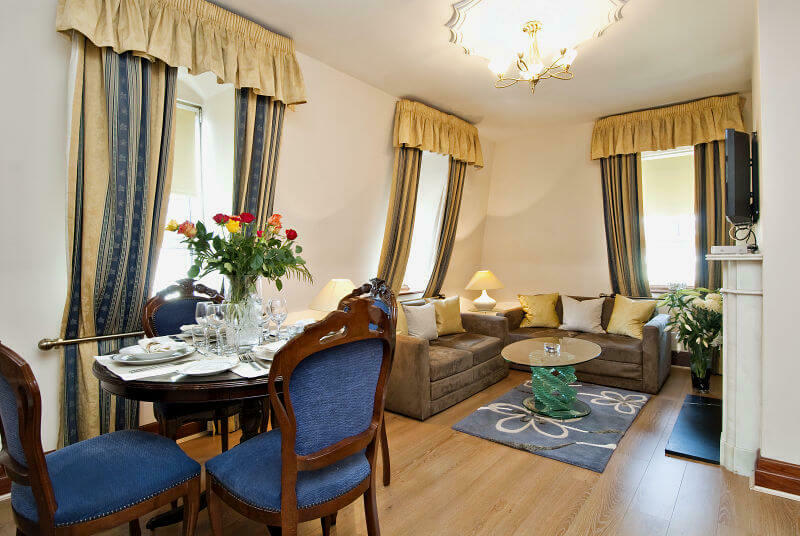 Enjoy all the comforts of your home in our gorgeous serviced apartments in central London. To discuss prices and booking, contact us.